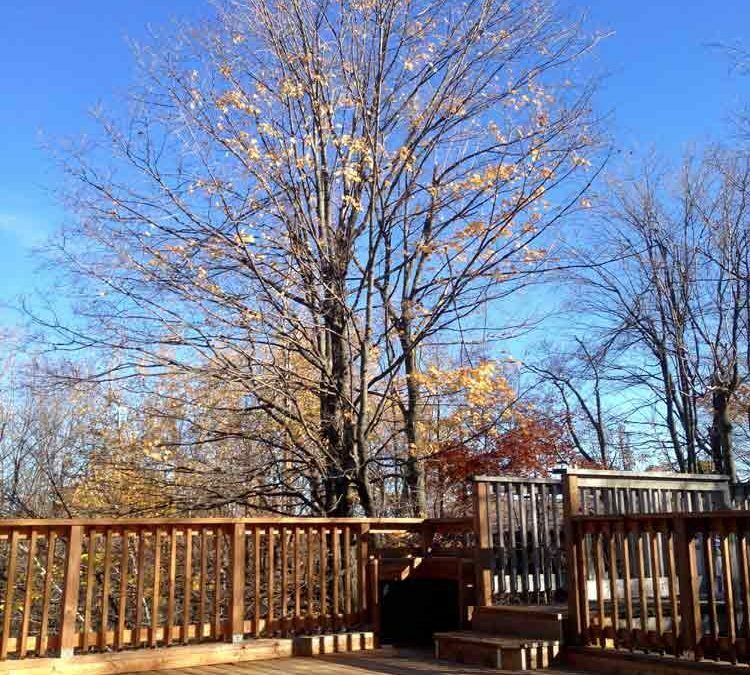 There are a lot of things to consider when you are looking for ideas for your deck railings. The most important factors, of course, are the style of your home and safety. The idea behind a deck is to bring your living area out into the garden area, and you already have an idea of how you want this to look. There are many quality materials available for deck railings, so there will surely be a style that suits your home and your imagination. A deck is a sound investment for your home, and you want it to last. Using composite decking and railing materials rather than synthetics will help your deck last longer. Iron railings are very attractive, but proper care is required. If an iron railing is not treated properly by being protected by paint or varnish, it will corrode and rust. That will happen even more quickly in an area that is damp or humid since moisture causes the corrosion. Wooden railings are preferable for many people rather than some other traditional materials such as brick, stone or metal. One of the main reasons that wood railings are preferred is that they are easy to install in a relatively short time. Some people prefer the look and quality of iron railings, but they should think about the challenges that caring for iron railings present. Of all the wood materials available for railings, one of the best is cedar. Cedar is attractive and easy to maintain. If you have cedar fences on your outdoor deck, lovely cedar outdoor furniture would fit right in. Cedar furniture is very practical because it is long-lasting and easy to maintain. Lightweight cedar furniture can be moved around on the deck quickly and provide a beautiful contrast to most decking materials. Finding the right combination of materials is up to you. You can install your deck railings if you have the right materials. You have to buy the posts, balusters, top rail and finials for your rails. Then you need the right tools and finishing materials, such as a saw, a drill, measuring tape, finishing nails. No matter which style railings you have chosen, such as traditional, contemporary or Victorian, you will find all of the materials you need at your local home improvement store or lumberyard.